At the completion of this article another terrorist attack has taken the lives of fellow Americans at a major sporting event. These particular cowards who attacked us ran, but ultimately were dealt with by the fine efforts of the Boston-area law enforcement. Sporting events and venues are and will continue to be an attractive target until we get serious about securing them on a consistent basis. It’s a huge undertaking, no doubt, but isn’t one life worth it? Football games, ice hockey, NASCAR racing…every day our friends and family attend events like these with an expectation of safety and security. But, this is not the world we live in today. In 2004 the FBI compiled information that public sporting venues could be the target of a terrorist attack. It is always a difficult task to catch known terrorist cells or lone wolf types in the act of surveillance; these types are guaranteed to target large public venues. It is not a question of “if” but rather “when.” I look at what happened in Boston and I view ‘the marathon’ not necessarily as a race, but as a sporting event. It’s time we make the soft target, the stadiums and arenas, more hardened. Public venues in the U.S. are characterized as “soft targets,” meaning there is minimal security either armed or unarmed, and terrorist or lone wolfs often have many opportunities to get inside and create chaos. 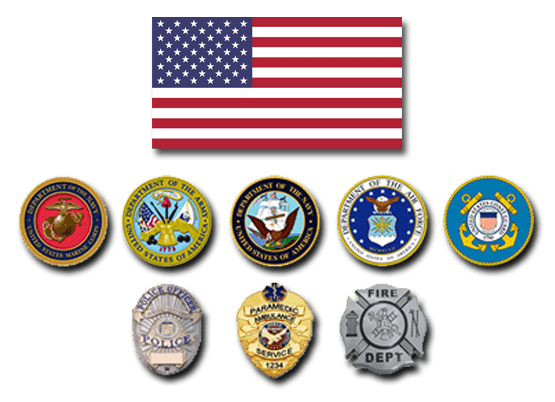 While most large venues that have professional sporting teams employ police on the interior and perimeter, the degree to which these police officers train in the event of an attack, and what actions they would take, is not always consistent. Interior presence is there to stop the drunken fights and disturbances, while the perimeter is mainly for traffic flow before and after the event. It might be time to consider whether more specialized training and operational deployment is needed. Enter the police sniper. 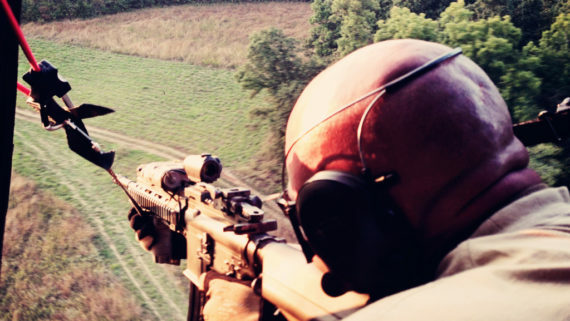 A police sniper is one of the most under-utilized assets of a SWAT team. Excellent marksmanship skills, along with field craft, enable this person to protect citizens and officers from either close or long range distances while remaining undetected. The police sniper can do far more than protect the entry team on approach to a target on the common barricaded person—they are a force multiplier. Craft International, a military and law enforcement training collaboration out of Dallas, Texas, offers a course to bridge the tactical gap between SWAT teams and local venue managers. 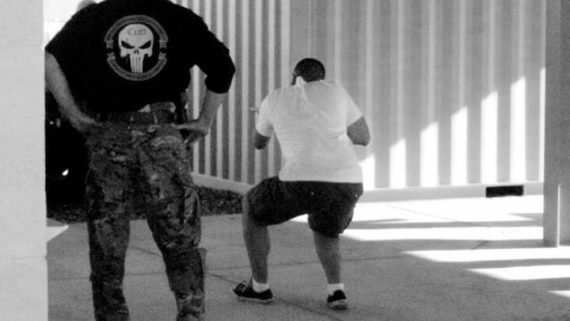 “Police Sniper Response to a Public Venue” teaches experienced snipers how to properly deploy and protect public venues. For example, shooters might incorporate live fire from precision rifles into specially designed bullet traps. The traps are placed around the venue to give students a challenge, as well as documented training from different positions. Students fire from bipod prone supported, kneeling from pack and tripod and standing utilizing Lone Star Field Product’s Spec-Rest. Students also fire from armored vehicles like the Lenco Bearcat. This results in a well-rounded positional firing course for what can be encountered in any venue. Students are also tested in physical conditioning; this course is definitely not for a beginning sniper or one that only goes to the range once a month to check his zero off his stomach. The three-day course is designed in a crawl, walk, and run progression. It consists of one range day and two days at the venue. 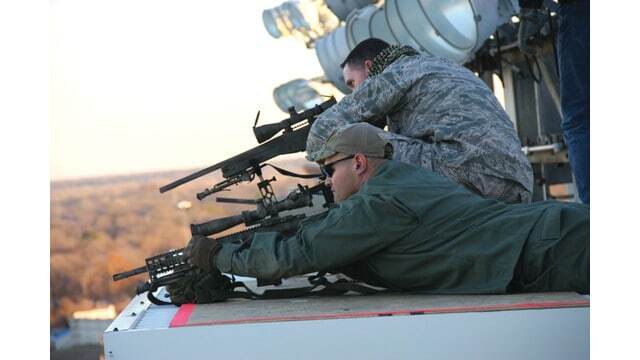 The police sniper is just one component of protecting our citizens at sporting events, races and speedways. The SWAT team is also an important asset, especially in the event of a credible threat. Terrorists fear organized SWAT teams as opposed to individual officers who may or may not act together—as a unit—to fight the enemy. SWAT teams train together for hours on end and act as one fighting force. It’s important to know how to integrate SWAT and sniper training, as every officer needs to be on the same page in the event of an attack. The time to train this is not during a crisis. It takes foresight and proactive training on the part of administrators, and the skilled personnel involved, to get this accomplished. Mark Lang is a 20-plus-year veteran of a north Texas police department SWAT team and has been a police sniper for more than a decade. Mark is a Craft International instructor and the developer and lead instructor for this course. He is an NRA Precision Rifle Instructor and adjunct instructor for the Texas Tactical Police Officers Association. He can be contacted at mlang@tacflow.com.